Apparently, “Game of Thrones” showrunners David Benioff and D.B. Weiss have been obsessed with the idea of a zombie bear for a long time. 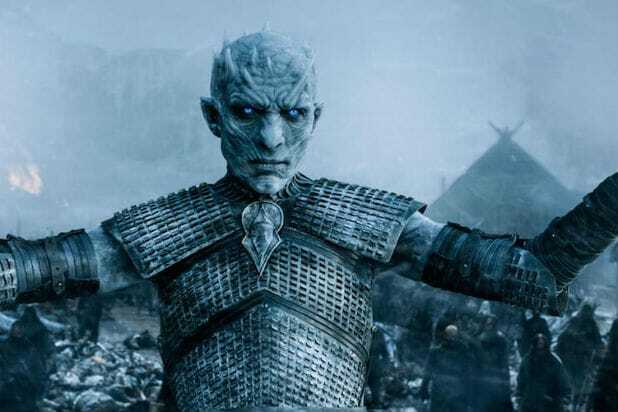 Luckily, the concept finally paid off in Sunday night’s episode “Beyond the Wall,” where the ragtag group of misfits that included Jon Snow, the Hound, Jorah Mormont and others went to capture themselves a wight to bring back for Cersei. A featurette released by HBO Monday showcases the multiple special effects that had to be done throughout the episode (including a certain dragon fight), but one of the important highlights involves that aforementioned zombie bear, which attacks the group before they even get to the group of White Walkers. “What we had to go through to get the zombie polar bear was writing the zombie polar bear into every season of the show for about four seasons,” Weiss revealed. Paul Kaye, who played Thoros of Myr, held a sword in the head’s mouth and shook it around to play up the effect. As for how the bear managed to throw around people, the stunt team used wires. Watch the full “Game of Thrones” featurette above. ‘Game of Thrones': Where the Hell Is Ghost, Jon Snow’s Direwolf?